It's tough for small studios to succeed on the Playstation Network, according to Introversion Software co-founder Mark Morris, because Sony's vetting process leaves them in a "much weaker negotiating position" than they have on Xbox Live. Morris, who founded Introversion in 2001 with college friends Chris Delay and Thomas Arundel, said getting a game launched on PSN presents "different challenges" for independent developers than they'd face on Xbox Live. "With Microsoft your approval is given at the start, as long as you deliver what you said you'd deliver you're going to launch, whereas it's not like that with Sony," he said. "Sony's clearance for launch comes quite later and you have to invest quite a lot of time before you get it," he continued. "That's a problem because it means you have to invest a lot of time and effort and then you're in a much weaker negotiating position because they could turn around and say, 'We don't want it'." Introversion released its first project, Uplink, in 2001, followed by the better-known Darwinia in 2005. 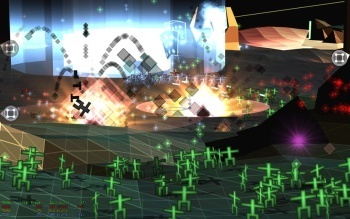 Despite a strong critical response, Darwinia flopped commercially, leaving the studio on life support until the 2006 debut of DEFCON, which met with far greater success. Introversion also benefited from a 2006 deal with Valve to offer its catalog over Steam. "Steam has made Introversion a commercial success," Arundel said at the time. Introversion is currently working on Darwinia+, a new version of its 2008 PC game Multiwinia for the Xbox Live Arcade. While he gave no sign that a move to PS3 development is in the works, Morris did say that he'd like to see Introversion games available on both networks. "When you're a small developer you kind of have to go with whatever you're offered," he said. "I would prefer a world where we could put our content out on 360 and PSN, because I think that being able to do that is really going to enable small developers to take risks."